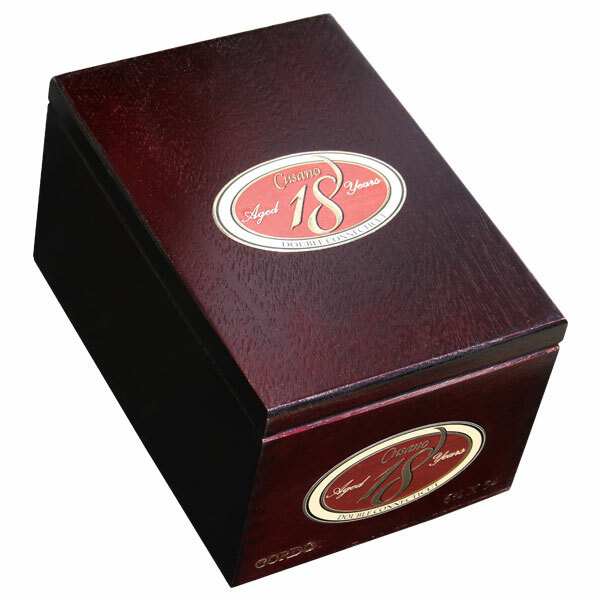 A rare limited production cigar, the Cusano 18 cigar was rated 91 by Cigar Aficionado's Cigar Insider. The Cusano 18 is bound and wrapped by premium Connecticut shade wrappers. These wrappers, combined with a recipe of Dominican fillers that have been aged for an incredible 18 years, make for smooth, creamy medium bodied smoke. Also available in paired maduro wrappers.